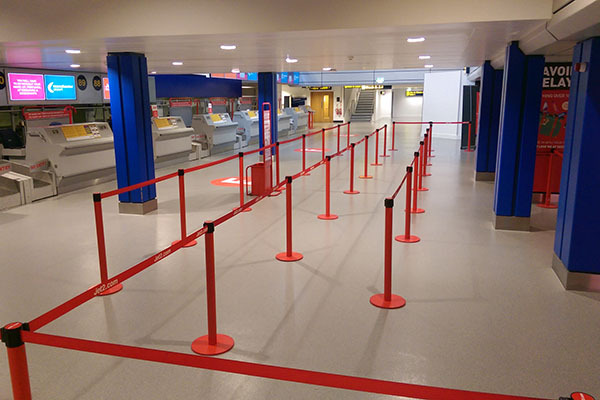 Axiom are pleased to announce the successful completion of new floor coverings at Manchester Airport. The £500,000 flooring scheme involved the uplift and placement of new screed and floor coverings to Terminal 2 Arrivals and Terminal 3 departures. This installation was particularly tricky as the installation involved working Airside and needed to be completed within a 12 week window. This project follows the work completed last year at Heathrow’s Terminal T2A and further underlines Axiom’s specialism in airport flooring installations.